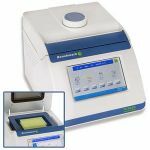 Benchmark is a premier manufacturer and supplier of benchtop laboratory equipment and supplies. Scimetrics, Inc. and its subsidiary proudly offer these products at the best prices with fast delivery and follow-up service. 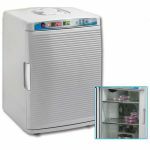 The 16 liter BioClave offers three cycle options (standard programs), which are preset for the sterilization of liquids, wrapped instruments or unwrapped instruments/plasticware. A fourth option "Dry Only" is also available for additional drying time to be added to the end of a cycle. 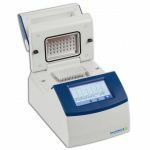 For special applications, requiring variations in cycle parameters, all settings on the BioClave 16 are fully adjustable. The Orbi-Shaker XL offers flask capacity that far exceeds that of most benchtop models. 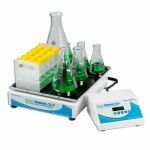 With a large 18 x 18 inch platform and a powerful, beltless motor drive, the Orbi-Shaker XL is capable of mixing up to five 2L flasks or nine 1L flasks simultaneously. The new Orbi-Shaker CO series is designed for shaking, mixing &aeration applications in extreme environments, includingCO incubators. It can withstand temperatures from 0 to 65°Cand humidity levels up to 100%. 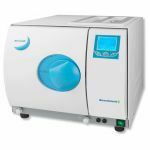 The 8 liter BioClave Mini is preprogrammed to meet basic research sterilization needs. Although the temperature can be selected at either 121°C or 134°C, the sterilization time is fixed. 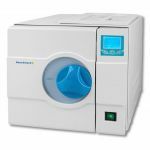 The economical BioClave Mini is the ideal choice wherever bench top sterilization is required and space is limited. 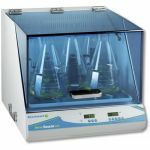 Mini CO2 incubator with digital control of temperature and CO2. Compact, ﬁts in most biological safety cabinets. 20L capacity, accepts bottles & ﬂasks up to 2L. Heats & cools (room temp. -10 to 55°C. Dual beam infrared C02 sensor. The new Orbi-Shaker CO2 is designed for shaking, mixing and aeration applications in extreme environments, including CO2 incubators. It can withstand temperatures from 0 to 60°C and humidity levels up to 100%.